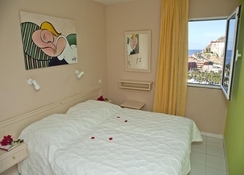 Aparthotel Hovima Santa Maria is an ideal place to stay if you are a couple or a family. As it is centrally situated in the Tenerife Island, numerous commercial and leisure areas are easily accessible to the guests. It is a fantastic place to stay, especially for beach lovers, as the nearest stretch of sand is only a 4-minute walk away. 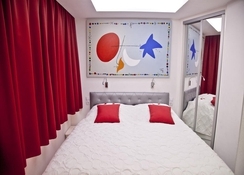 Rooms in Aparthotel Hovima Santa Maria are available in plenty of categories to match the needs of different travelers. Guests can take a relaxing swim in one of the hotel's three fantastic outdoor swimming pools before relaxing on the sun loungers nearby. 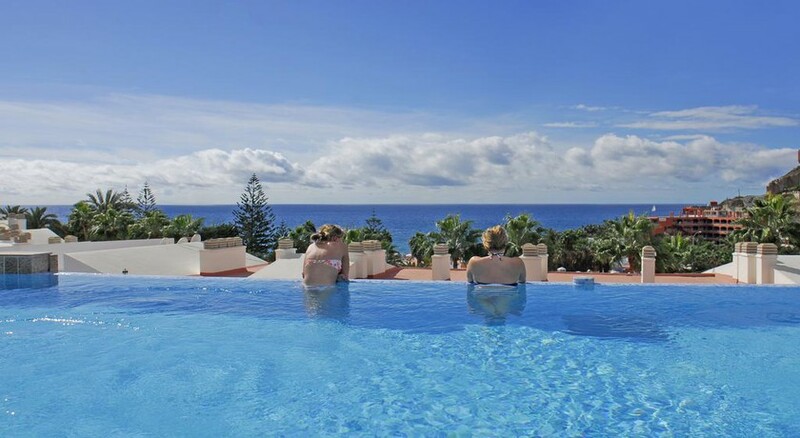 The best and the foremost aspect about this hotel is the chill-out terrace, where you can enjoy magnificent views of the sea, while having cool drinks. 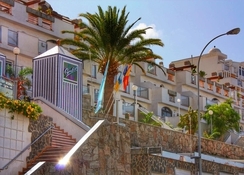 Aparthotel Hovima Santa Maria enjoys a perfect location in Costa Adeje, Santa Cruz de Tenerife, Spain. The Fanabe Beach, which is one of the best beaches in Spain is only 9-minute walk away on the other hand the Aqualand water park is a mere 1.3km from the hotel. The Tenerife South Airport is only 17.7km away, making it convenient for the guests to board their flights on time. Aparthotel Hovima Santa Maria features bright, airy and comfortable rooms matching the needs of solo travelers, couples, families and group of friends. The hotel offers rooms in the following categories: Studio, Studio Sea View, Apartment and Apartment Sea View. 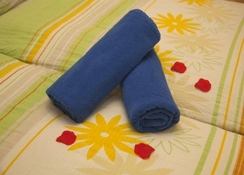 All the rooms have all the necessary amenities that include free WiFi, laundry service, satellite TV, safe with charge and bath towels. Aparthotel Hovima Santa Maria has ample dining and drinking options for the guests to indulge in. The Buffet restaurant has a nice atmosphere and serves up an appetizing breakfast, lunch and dinner, prepared by expert chefs. In addition, if you want refreshments during the day alcoholic and non-alcoholic beverages can be enjoyed at the pool bar. Or why not visit the Irish Pub Flynn & Flaganan? The hotel has abundant sports and entertainment facilities to keep the guests engaged. There are three splast-tastic swimming pools available, one of which is children-only. Explore the region at your own pace by taking advantage of the car and bicycle rental service provided by the hotel. Some of the sports facilities include tennis court, billiards, ping-pong, petanque and much more. From now in HOVIMA Santa Maríaall pools are heated durng the winter seasons (till now it was heated only one of the big ones).